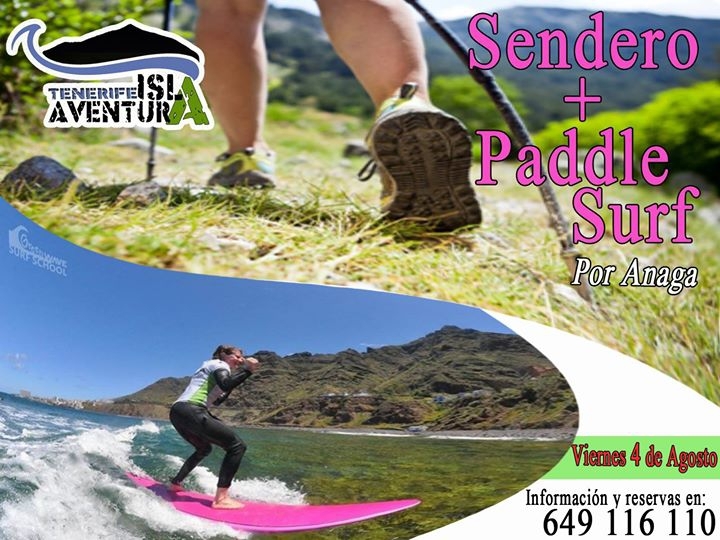 See one of the most beautiful parts of Tenerife by land and sea on this wonderful day trip that combines hiking and paddle surf. The activity includes equipment, guide and guides. It wilbe attended to by locals and is Spanish speaking, so a great experience to practice your conversation skills and meet new people. For more info or to book call 649 116 110.